The new digital economy is upon us and companies failing to reimagine their businesses could lose whatever competitive advantage they hold in the market. Fortunately, the oil and gas industry has been highly automated and digitized for decades. Yet, the technology powering the digital economy is taking connectivity to a new level, transforming nearly every aspect of operations and customer engagement. Early adopters are growing shareholder and stakeholder value faster than their peers; while those failing to adapt are falling behind. Staying ahead of the curve means taking a hard look at existing practices and reimaging everything from business models and processes to work management solutions. In less than a month the doors will open again for the largest global business technology event, hosted by SAP and ASUG. Here you can hear directly from your peers what technologies and best practices are being leveraged to reimagine everything. Here are five more reasons and key session highlights that oil and gas companies should not miss in Orlando from May 16-18. Learn about SAP’s Vision to inspire and shape a digital world that helps oil and gas companies leverage the efficiencies and growth promised by the digital economy. It begins by looking for ways to digitize content and then capturing, analyzing and delivering the resulting data in easy-to-consume formats so that real action can be taken. Now is the time to activate, optimize and transform to secure new competitive advantages and establish sustainable leadership in this new world. Explore the five pillars of digitization to help develop your digital road map. Oil and gas companies must digitize to grow profits in new markets as well as reduce costs and increase productivity by simplifying their operations. The value of the digital economy is based on driving efficiencies by preventing disruptions and automating processes such as maintenance and work load schedules. Hear from best run oil and gas companies on how they are adopting new technologies to redesign and digitize their business processes to become more competitive and increase profitability. Understand how these SAP innovations helped simplify their business and contribute to the bottom line. Explore the full array of SAP solutions including: SAP Ariba, SAP Fieldglass, SAP Hybris, SAP SuccessFactors, and Concur offerings all in one place. Visit the campuses for demos, expert Q&A and discussions, and meet the +225 exhibitors covering technology, support, software solutions, services, hosting, and content providers. Network With Your Peers – Collaborate and network with the entire SAP ecosystem in one location. Take advantage of forum keynotes, theater presentations, interactive sessions, demos, and networking activities with other companies attending. Learn about the latest trends, solutions, technologies, and services from SAP and our partners. Meet with SAP customers, experts, and thought leaders who understand your business challenges and can help you run live. 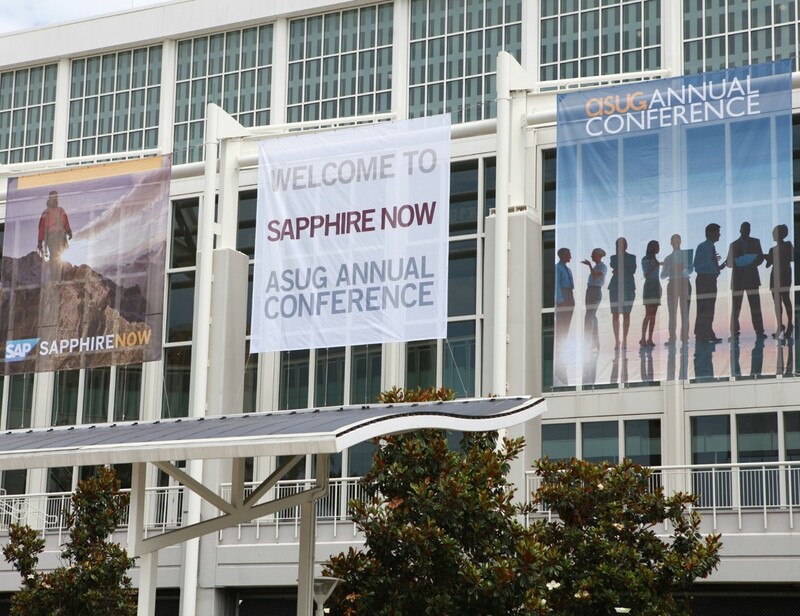 SAPPHIRENOW and ASUG offer an exciting and informative mix of key note speakers, customer presentations, panel discussions and interactive demonstrations. There are currently over 1,400 sessions from which to select. Discover how C&J Energy used SAP Cloud Platform and Capgemini’s EnergyPath solution to build ticketing apps for its 1,000 field users.